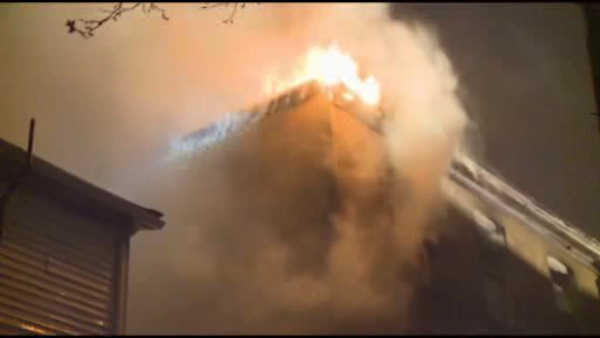 PERTH AMBOY, New Jersey (WABC) -- Fire burned through a building in Perth Amboy, leaving at least six people homeless. Firefighters had to battle the flames and the snow in the three story building on State Street. The fire broke out just after 11 p.m. Sunday night.